Clausewitz claimed that war was diplomacy by other means. This may explain why Sparta, popularly known as a militaristic society, was in fact a city with a long history of effective diplomacy and a high regard for the diplomatic profession. Sparta’s diplomatic history started early. According to Herodotus, for example, Sparta sent an envoy to the Persian court mid-6th Century, long before the Persians had become interested in Greece. Allegedly, the Spartan envoy warned the Great King against enslaving Hellenes - which prompted the bewildered master of the Eastern world to ask who (in the hell) the Spartans were? After the diplomatic breech of murdering the Persian ambassadors sent to obtain earth and water in 491, the Spartans were concerned enough about diplomatic niceties to send to men to Persia as sacrifices to atone for the murdered ambassadors. More significant, however, is the fact that Sparta founded the first non-aggression pact in recorded history when it stopped seeking to conquer its neighbors but sought defensive alliances with them instead. A series of bilateral treaties evolved into what became known as the Peloponnesian League. While initially this organization was an instrument of Spartan hegemony, which required Sparta's allies to follow her lead, in or about 500 BC the allies successfully asserted their power and effectively converted the League into an alliance in which every member - including Sparta - had an "equal" vote. Even if, as we know, some members of every alliance are always a little "more equal" than others, the principle of voting on major commitments of the Alliance was clearly established and largely respected. Likewise, although often dismissed as simply “natural,” the forging of an alliance with Athens, Corinth, Aegina, (all hated rivals of one another!) and other lesser cities to oppose the Persian invasion of 480 was, in fact, a brilliant Spartan diplomatic achievement. I say Spartan, because the election of Sparta to lead on land and sea suggested that Athens would not have been able to hold this alliance together without Spartan influence. Arguably, it was Leonidas’ ability to put together a “coalition of the willing” to fight against Xerxes, more than his untimely death at Thermopylae, that was his greatest achievement. Notably, some of Sparta’s best commanders were also excellent diplomats. Brasidas comes to mind. Brasidas had only limited troops, the bulk of which were helot volunteers without the training of Spartiates. 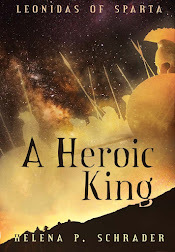 His success depended not on force of arms, but his ability to win over allies and detach cities from the Delian League. Likewise Sparta’s success in Syracuse was certainly not a military success, no Spartan hoplites were in action at any time! It was, however, an enormous diplomatic success that severely weakened Athenian strength and morale. Did the Spartans give gifts? Obviously, gifts were an important feature of most ancient societies. Gifts were an important component of diplomacy, with monarchs or cities exchanging gifts as gestures of good will. Gifts were given to the gods, and to victorious athletes. Gifts were a feature of the cult of hospitality and friendship, and gifts were given to favored prostitutes and slaves. Gifts played a much more significant role in ancient Greek society as a whole than they do in ours today. But what about Sparta? In Sparta, after all, conspicuous consumption was disdained. 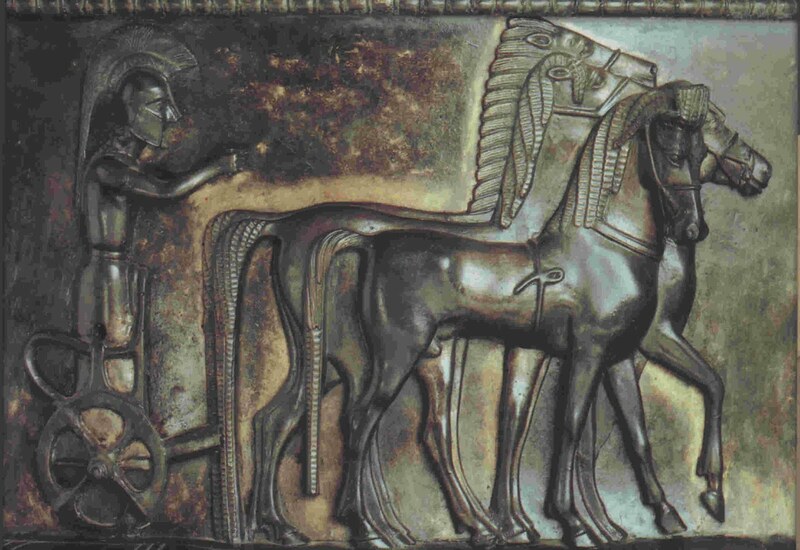 Spartan laws prohibited the minting of gold and silver coins, and in the 5th Century BC, even the wearing of gold and silver was allegedly proscribed. While there is good reason to think that descriptions of Spartan austerity are greatly exaggerated, there is no reason to think that Sparta was not comparatively less extravagant in the use of luxuries and display of wealth. In a society which frowned upon the display of wealth, gifts would necessarily have a different character than in a society, like Athens, where flaunting wealth was an essential component of social status and political power. 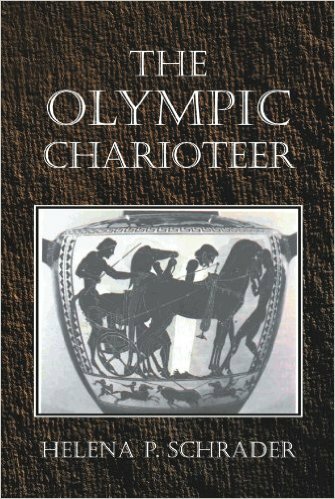 For example, an Athenian Olympic victor was fed for the rest of his life at civic expense, was granted a front-row seat at all public festivals including the plays, and received other material rewards as well. Sparta's Olympic victors received only one reward: the privilege to "stand in front of their Kings in the line of battle" -- i.e. automatic membership in the elite unit, the Hippeis, or royal guard. In short, Spartans had the same cultural traditions of gift-giving, but very likely gave gifts that were more immaterial and practical. Personally, I picture public gifts being mostly "honors" -- prominence of place in processions or at festivals, or election to positions of prestige (committees judging the singing and dancing contests, for example) or ceremonial functions -- the Kings' cup bearer, the Kings' marshal, etc. Personal gifts were more likely to be practical things, game, honey, and other products from a man's kleros, or possibly a hunting dog or livestock. Gifts to women, on the other hand, were probably more conventional, things like jewelry, expensive fabrics, perfumes etc. We know Athenians viewed Spartan women as particularly extravagant and luxury loving, and Aristotle blamed their love of wealth for the downfall of Spartan society. For those of us living today, however, gift-giving is a traditional aspect of the "Holiday Season," and our gift-giving is more materialistic than symbolic. So for any of you who would like to give a gift with a Spartan theme, I have created a few products. I'm just getting started, actually, but I hope you'll like one or the other of my t-shirts and mugs. You can look, select and buy online at: http://HPSDesign.spreadshirt.com or http://HPSDesign.spreadshirt.de. How Do You Raise A Man? 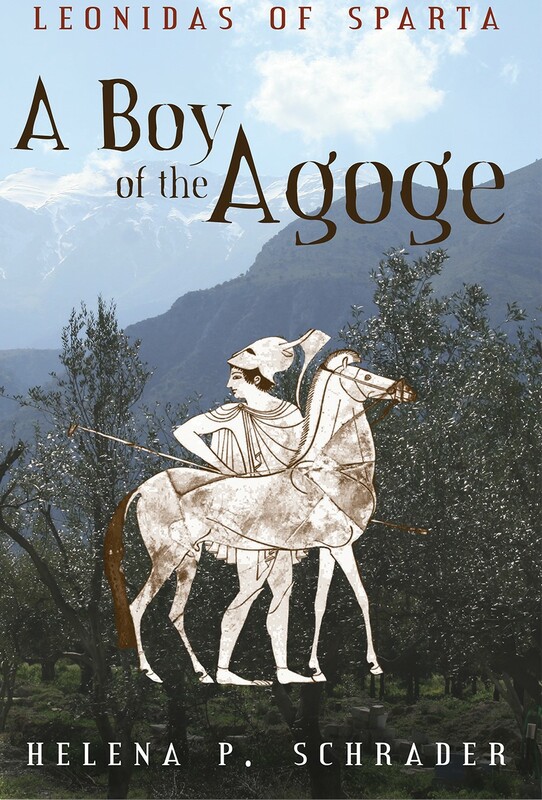 On October 28, the following review of A Boy of the Agoge appeared on amazon.com. It was contributed by "Thomas E." -- not further identified. I'd like to share it with you, and my thanks to Thomas E! Helena P. Schrader has the kind of academic credentials that make you wonder what you did with your life. Growing up in Japan, Brazil, England, and the United States she has degrees from the University of Michigan, Kentucky, and a Ph.D. in history from the University of Hamburg. After writing several non-fiction books focusing on WWII, she turned her attention to fiction. This academic zeal for research shows up in her books, and is very prevalent in the "Leonidas" series. She also owns a home in what was once called Lacedeamon, or more commonly, Sparta. 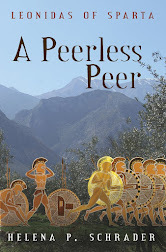 This book is the first in a trilogy that walk through the life of Leonidas, the legendary king of Sparta. Unlike other such texts, this one makes liberal use of citations to the historical record, and where no such record is available the author explains why she choose to go the way she did. She is also very open about what is conjecture or writers license on her part. Obviously everybody knows how the book will end, so there is considerable pressure to make the parts in between worthwhile, logical, consistent, and reflective of what the historical and archaeological would have us believe occured. This is where Schrader shines. 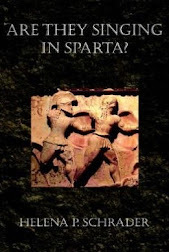 As the title implies, this book focuses heavily on the Agoge, that almost mythical Spartan insitutation of education and training. The book actually opens with Leonidas receiving the oracle that damns him to his fate, and then jumps back to the future kings childhood. We are treated to life in the palace, and an indepth examination of life in the five villages that make up Sparta. The view presented here and throughout the series conflicts with more idyllic apperances in other tales, such as Gates of fire by Pressfield. Gates of Fire: An Epic Novel of the Battle of Thermopylae However, her examples all make sense, are explained, and ring true to how a society such as Sparta would develop. The Messenian helots are touched upon, and the rituals of growing up are expounded upon. How would a child orphaned early develop, and in an almost Harry Potter like fashion, how would such a child wield wealth? How do you grow up to be the man that offers himself up as sacrifice? This book lays the foundation. It is a great read, and yet it is the weakest of the trilogy. It is where one must start, and nobody will be disappointed by it. Just know that what follows is even better. To read more about the Leonidas Trilogy click here. To see the video teaser on YouTube click here. To buy t-shirts or mugs with Leonidas and Gorgo motifs click here. In 413 BC, according to Thucydides, an estimated 20,000 Athenian slaves ran away to the Spartans, who had established a permanent fortress at Dekeleia. For these oppressed and exploited individuals, the Spartans were liberators. 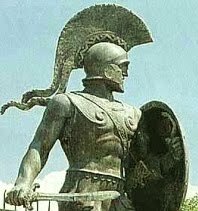 Their story, however, is virtually ignored by the usual depictions of Sparta that stress the “exceptionally harsh” lot of Sparta’s helots. As I have tried to point out in earlier posts, helots enjoyed significant privileges that chattel slaves in the rest of the ancient world did not. First and foremost, they lived in family units, could marry at will and raise their own children. Almost equally significant, they could retain half their earnings. Such income could be substantial, as is demonstrated by the fact that no less than 6,000 helots were able to raise the significant sum of five attic minae necessary to purchase their freedom in 369 BC, according to Xenophon. In contrast, chattel slaves had no family life and their children belonged – literally – not to them but their masters. As to the fruits of their labor, these accrued exclusively to their masters, and even freed slaves (at least in the case of former prostitutes) had to surrender some of their earnings in perpetuity to their former masters after their manumission. In Athens, furthermore, slaves could be tortured for evidence in trials against their masters, because the Athenians believed a slave’s word was worthless unless obtained under torture – a bizarre and chilling attitude to fellow human beings. I would like to note, further, that Athens’ economy was no less dependent on slaves than Sparta’s was on helots. Slaves worked Athens silver mines -- under appalling and dehumanizing conditions worse than any horror story told of helots even by Sparta’s worst enemies. 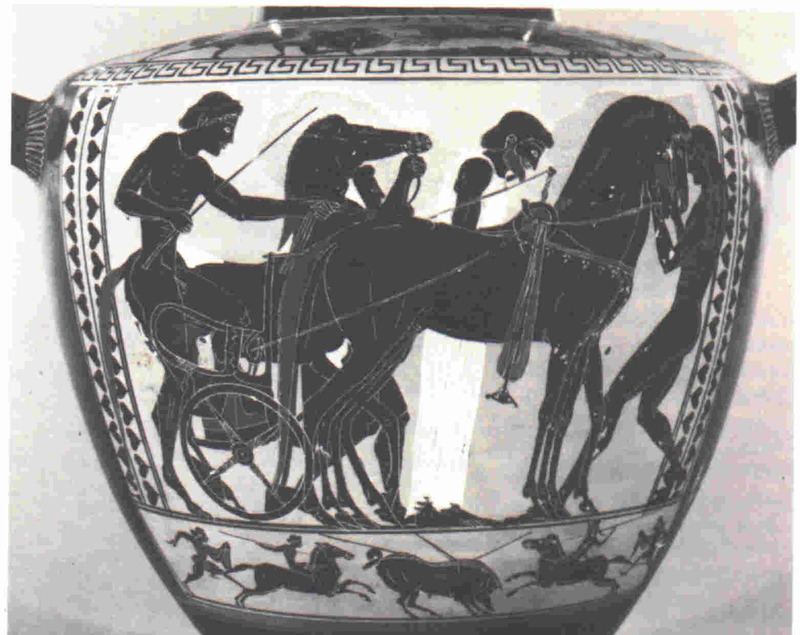 Slaves also provided essential agricultural labor and manned the workshops that made Athens famous for its handcrafts. Even the statues on the acropolis, the wonder of all the world to this day, were largely the work of slaves, who earned “wages” only for their master’s pockets and had to make do with whatever scraps he deigned to give them. Defenders of Athens are apt to point out that Athens’ laws prohibited the execution of slaves and no one but the slave’s own master was allowed to flog a slave. In contrast, war was declared on Spartan slaves annually and an organization, the kryptea, allegedly existed solely for the purpose of eliminating potentially rebellious helots. These Spartan customs are indeed harsh, but they should also be viewed in perspective. First, according to Plutarch, both the annual declaration of war and the creation of the kyrptea post-date the helot revolt of 465 and have no place in the Golden Age of Sparta, the archaic period. Second, even after the helot revolt and the onset of Spartan decline, we know of only a single incident in which helots were in fact executed without cause. According to Thucydides, in ca. 425/424, 2,000 helots were led to believe they would be freed, were garlanded and paraded through the city, only to then “disappear.” Everyone presumes they were killed. If this really happened as described, it was an unprecedented atrocity. If true, it besmirches the record of Sparta for eternity. It would nonetheless also still be only an isolated incident. Beside this atrocity, I would like to place as exhibit B the slaughter of the entire male population of island city-state of Melos by Athens in 416. Melos was a free city. It’s only “crime” was to remain neutral in the Peloponnesian war. Yet Athens subjugated the city, slaughtered the adult males and made all the women and children chattel slaves. I’d call that an atrocity too – and every bit as bad as the disappearance of 2,000 helots. There is no doubt about what happened to Melos. We have many sources and know the fate of many individuals that further verify and illuminate the brutality of the event. But the story of the 2,000 helots has only a single – albeit usually reliable – source: Thucydides. As Nigel Kennell in his book Spartans: A New History notes, Thucydides’ dating of the incident must be off because at exactly the same time (425/4) Brasidas was recruiting helots to fight with him – something he did successfully. Why would young men have been willing to volunteer to fight with Brasidas (which they most certainly did), if they had just seen 2,000 of their fellows slaughtered? It is so unreasonable to believe helots would have volunteered if the alleged massacre had just taken place, that Kennel concludes that Thucydides was referring to an incident that had occurred at some vague/unknown time in the past. That is surely one explanation, since after Brasidas’ helots had proved their worth as soldiers, i.e. after they had proved just how dangerous they could be to the Spartiates, no less than 700 of them were liberated by a vote in the Spartan Assembly. This means that, if Thucydides is correct and the Spartans had once been so afraid of strong, healthy helots that they slaughtered 2,000 of them before they were trained to bear arms, by 421 a majority of Spartan citizens had no qualms about freeing 700 helots, who were not only healthy, but trained and experienced fighting men. Why would they free these 700 hundred after killing 2,000 others? It doesn’t add up, and so the story of the murder of the 2000 has to be questioned. While it is possible Thucydides was describing an earlier event, it is almost certain that the only evidence he had was hearsay. The modern historian should not exclude the possibility that the entire “atrocity” was either a gross exaggeration or outright propaganda. And who would have a greater interest in spreading rumors of such an atrocity than Athens itself? An Athens, whose slaves were deserting in droves by 413. One thing is clear: those 20,000 Athenian slaves, who turned themselves over to Spartan mercy, did not expect to be slaughtered. Either they had not heard the “truth” about how the Spartans “really” treated their helots, or they didn’t believe the stories they were told by their Athenian masters. Thucydides is silent on what happened to those 20,000 former Athenian slaves, either because he doesn’t know – or it wouldn’t fit into his neat polemic against Spartan brutality. We know, however, that Sparta’s citizen population had already declined dramatically by the end of the 5th Century BC and yet Sparta kept fighting and winning battles. It did so by relying more and more on non-citizen soldiers, and a fleet manned by non-Spartiates. It is also in this period that the first references to a curious new class of people, the “Neodamodeis,” emerge in literature. The most common interpretation of this term is that these “New Citizens” were freed helots or the children of Spartiate men by helot women. There is, however, no reason to assume that some of these new citizens were not freed Athenian slaves as well. If so, then these men surely found freedom in Lacedaemon.